May we all find the joyful songs close to our hearts. Oh lovely Julie. I think one of the hardest things is to let go of someone with a peaceful heart. For me. There is a mantra that works to allow me to find the grace in letting go – I love you as you are. I love me as I am. Bless you. Bless me. Let us be free to be who we are. Hi stranger, it’s been a while. Hope you’ve been well. I saw this today and thought of you. I don’t suppose you have any relatives called Elizabeth who’d like a world trip. The link will explain my ramblings. Tee gee. Not me! Thanks for the repost Fi. You sound busy! I have actually been thinking a lot about this lately, in two parts. One part is to let my voice be heard, and the second part is to be positive! I have been living in a very oppressive home life for years, where I haven’t been able to express myself and it has been so hard to be positive, especially since I am surrounded by negative people. However, I am a positive person by nature and always look for good in a situation, and I have always been a writer even when I don’t write. 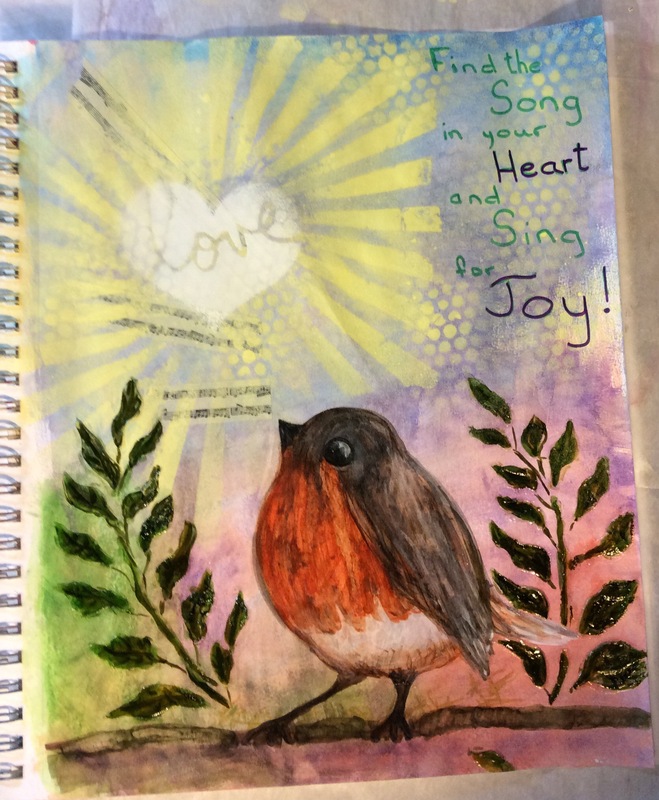 So, finding my song in my heart and sing for joy is EXACTLY what I need to do!